Project required an 8” diameter pilot hole for each of the 278 high-capacity post-tensioned strand anchors that were installed in a 15” diameter final hole. 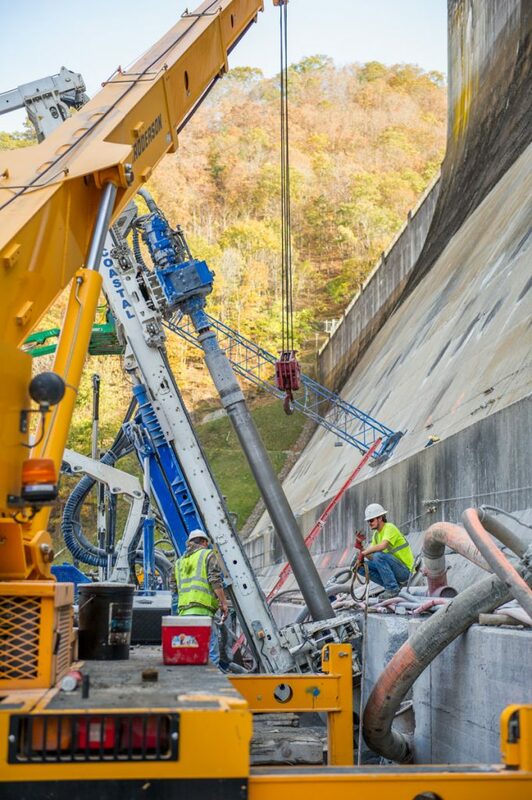 The high-capacity post-tensioned strand anchors were installed in a dam that had already undergone several rounds of rock anchor installations. 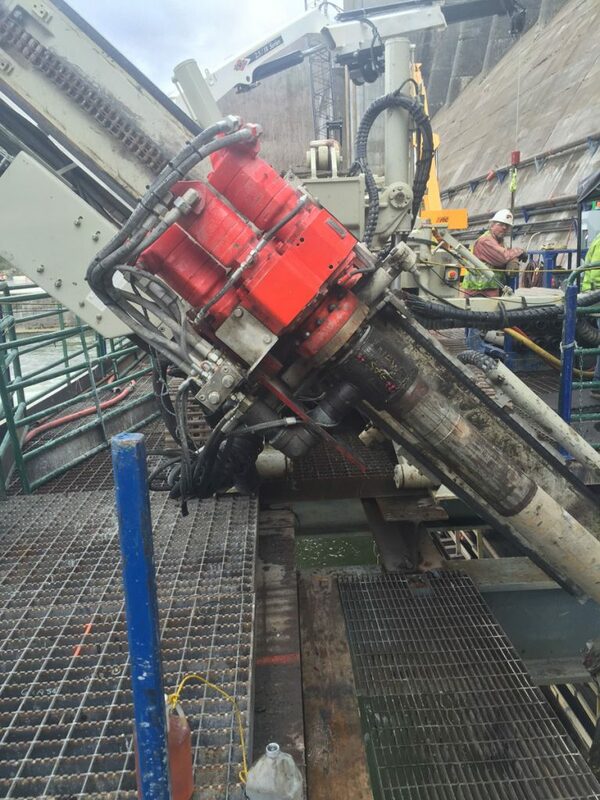 These existing rock anchors combined with the other existing mechanical and operational equipment in the dam and foundation drains presented a very congested drilling environment. 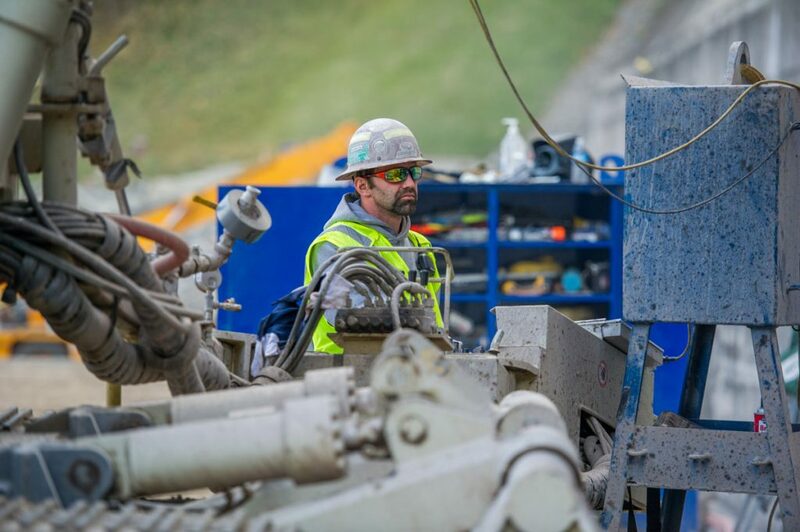 To ensure that existing features were not interrupted by the drilling operation, Coastal Drilling utilized it’s real-time optical guidance and verification directional drilling technology. 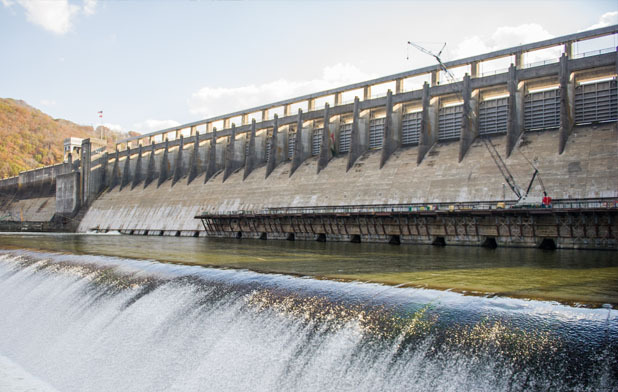 This particular phase of dam safety assurance project called for the installation of 278 high-capacity post-tensioned strand anchors across the spillway and non-overflow portions of the dam including the abutments. The directionally drilled pilot holes were periodically QA/QC checked for alignment using a gyroscopic downhole survey tool. 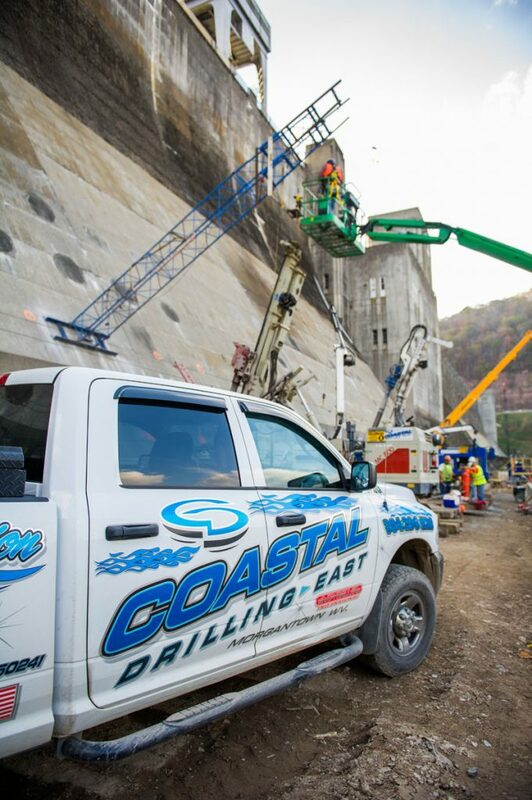 Coastal Drilling utilized its real-time optical guidance and verification directional drilling technology to successfully complete an 8” diameter pilot hole for the 278 high-capacity post-tensioned strand anchors for a dam safety assurance project. 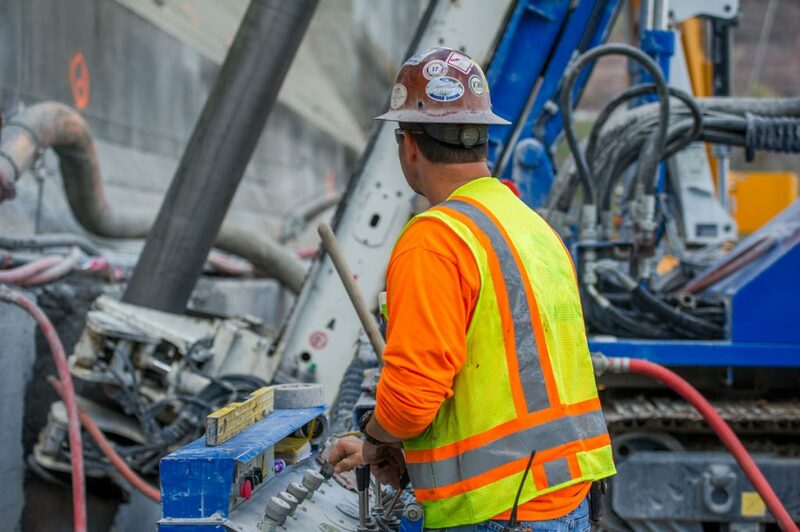 The majority of the rock anchors on this project were 61-strands and up to 270 feet in length requiring up to a 15” diameter final hole that was drilled by following the directionally drilled pilot holes. 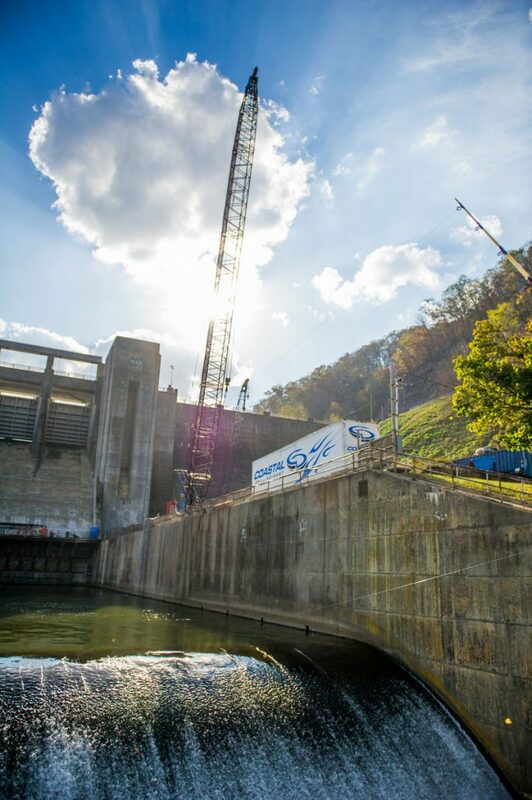 This project required working above an active spillway from both elevated platforms and barges. Also, it required that each pilot hole and final diameter hole to be drilled within a tolerance of 1:150 as measured against the specified centerline. 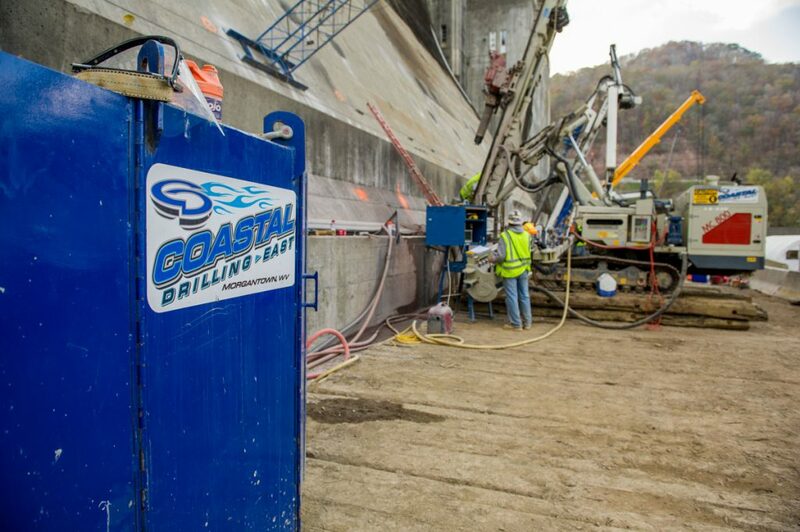 By utilizing its real-time optical guidance and verification directional drilling technology, Coastal Drilling continually exceeded the specified tolerances. The anchors were installed across the length of the dam including the spillway, non-overflow, and abutment portions of the structure.